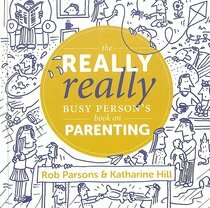 Rob Parsons is an international speaker on family issues and the author of many best-sellers including The Heart of Success and The 60-Minute Father. Over half a millon people have attended his live seminars. Katharine Hill is the UK director for Care for the Family. She speaks, writes, and broadcasts widely on family matters, and blogs regularly for HuffPost. She has practiced as a family lawyer and served as a board member for the International Commission for Couple and Family Relations as well as a member of a government advisory group on family issues. Katharine is married to Richard and they have four grown children.